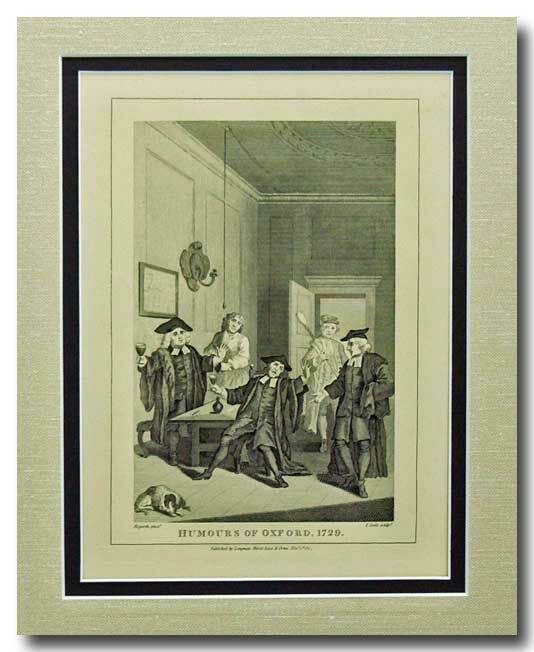 A steel engraving titled “Humours Of Oxford 1729” from an illustration by William Hogarth & engraved by T. Cook. “Published by Longman,Hurst, Rees & Orme, Nov. 1st 1807”. 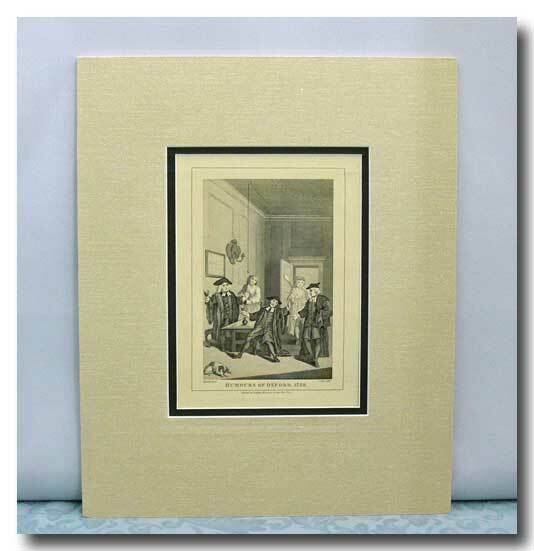 Unframed but conservation double matted in a fabric-like beige over a black mat. Excellent condition. Approx. size in inches: 11 ¾ W. x 14 ½ H. Dated 1807.